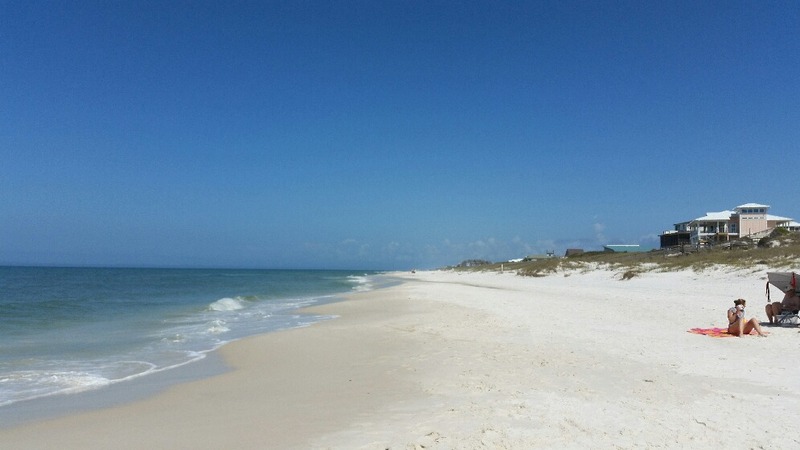 Gulf Breeze is sitting just behind the dunes from the gulf accessed via a raised walkway to a stretch of beautiful white sand beach on Cape San Blas. New to the rental market in 2017, it has just been remodeled and there are panoramic ocean views from every room. Large gulfside screened porch accessed from the main living level via three double doors. Great sunset views from the porch and inside. Two bedrooms are gulfside with their own access to open decks. There is an open deck off the kitchen facing east for shade in the afternoon. 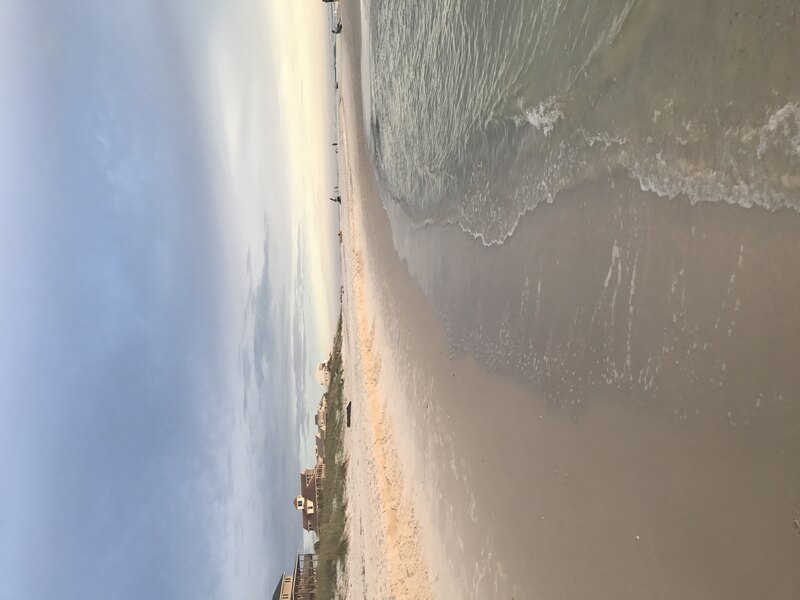 Gulf Breeze is located on the north end of the Cape, just outside the St Joe Peninsula State Park with easy access to launch your boat, kayaks and paddle boards on the Bay. The beach is not crowded even in the summer months. And best of all, when you enter the house, it is all on one level! There is room for two cars under the house and outside paved parking. Lots of room for your toys under the house. Master with king bed, tv, and private bath on one end of the home, two guest rooms, one with a queen bed, tv, and one with two twin beds, tv, both with access to full bath are on the other end of the house. Kitchen, dining area for 6, bar with four stools and living area with large Smart TV are located in the center of the house. The perfect layout awaits! This is really a great house. You will feel like your are in a Gulf Front property without the high price. Let me start by saying the property is incredible. Have stayed many times with family and friends and such a pleasure. Since Hurricane Michael they even made more incredible updates with new bathrooms and furniture, could have not been more comfortable this week. The stores and fish market are open and running like normal which we visited often. Thanks for your quick turn around time from the storm. Already rented for September and 2019 fixing to book. Beaches are awesome so no worries for that and in fact even better. 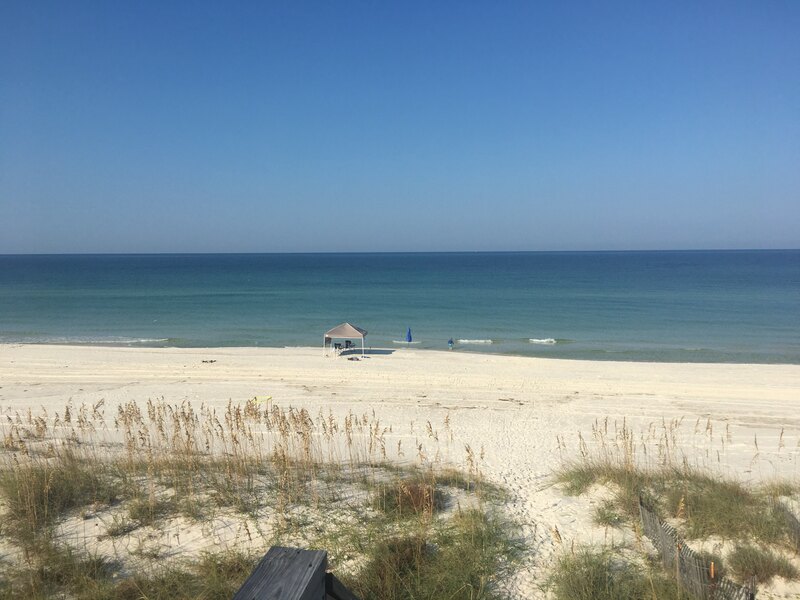 Gulf Breeze is a great place to stay. The property has just been remodeled from top to bottom and has everything you need. The sunset views from the screened porch are fantastic! We have had an amazing time. Relaxing enjoying the views, waves, sunsets, and sunrises!! A great house to relax and unwind! Thank you for calling and checking if all was well, much appreciated. This is our 3rd year at Cape San Blas and our 4th year is already booked in this house. The perfect beach cottage. We look froward to coming again next year. Thank you for sharing your beautiful home. We love Gulf Breeze!! In fact, we’ve already booked it for next year! It is a perfect dream house. We had 6 people with 2 cars and it was very spacious. We have come to the Cape for 10 years now and have stayed at various houses. We truly enjoyed our stay at Gulf Breeze. The house was clean and nicely updated. The location was excellent and the owner was very attentive . We are already planning to book the house for next year. We have visited the Cape several times and this was by far our favorite home! Perfect for our family of 6. We loved the well-stocked kitchen and screened porch. Also loved that the house wasn't filled with breakable little knick-knacks everywhere.....it was super child-friendly!! Plenty of seating for everyone. Easy walkway to the beach. We've already booked for next Summer too! 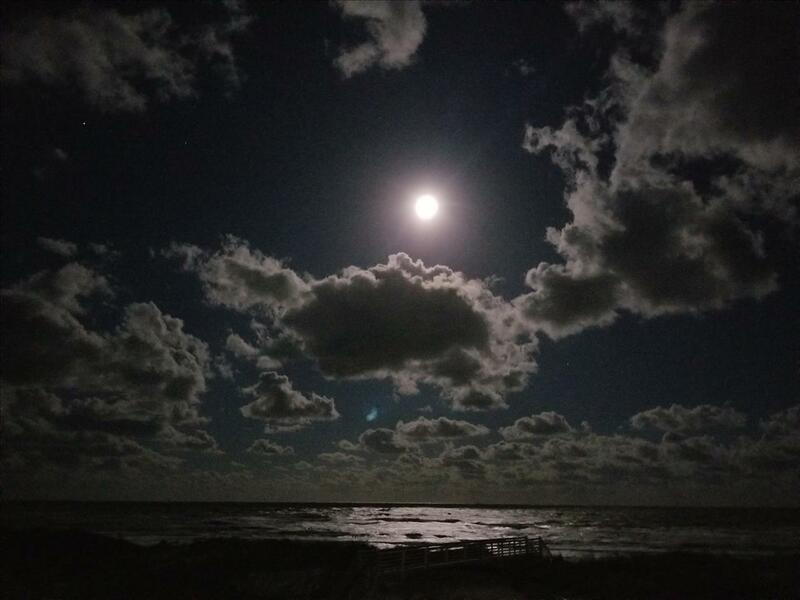 This was our first time coming to Cape San Blas and we had a wonderful time. Your home is amazing . We loved hanging out on the screen porch and the kitchen was wonderful and had everything we needed. 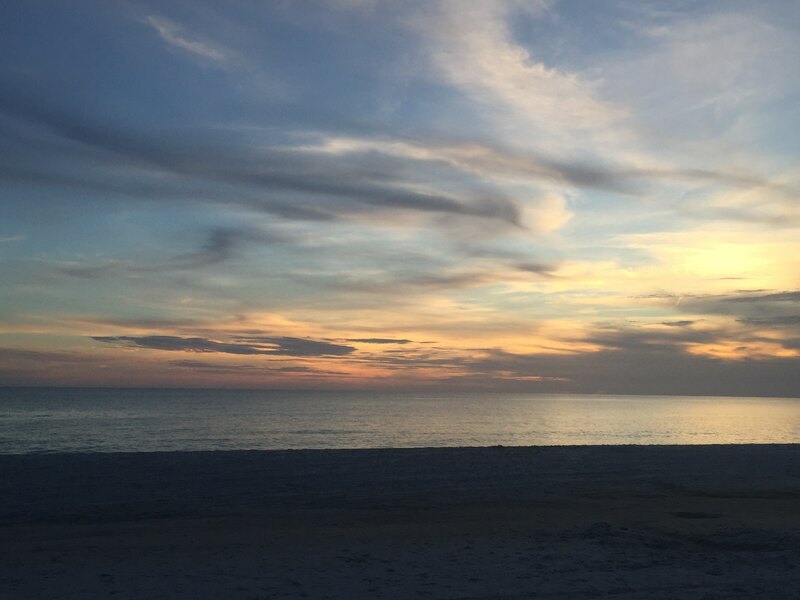 We caught a wide variety of fish while on the beach and also enjoyed beautiful sunsets every night. Such a week full of wonderful memories very hard to leave and head back to WI to some snow this week. thank you for sharing your home we hop to be back. This was our first stay in this home and it could not have been a better vacation. I loved the stocked kitchen and awesome view; a perfect location. We found "treasure in the bay and the beach". Solitude and beauty. Thank you for a wonderful stay. This is our third year at the Cape and Gulf Breeze has been the nicest. Its location is wonderful - peaceful and quiet. The views are spectacular. The kitchen is fabulous. The beds and furniture are comfortable. One of our favorite things is the screened in porch. 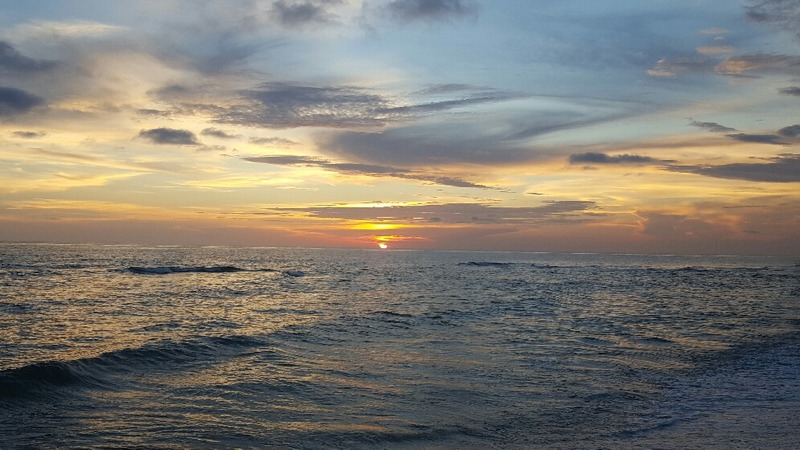 We spent many hours watching sunrises, sunsets, dolphins, pelicans, and the rolling waves. We loved our stay and are a little sad to leave. We are looking forward to coming back in December. This is our second stay in this house and we already have our third booked next June. We love this house!!!! Wish we could always stay longer. We love the new fish cleaning station, the new art and vacuum! So excited to see anything new next summer. The BEST Thanksgiving EVER! This house is ABSOLUTELY amazing! This is my mother and my second time staying here and every time it seems to get better....if that's even possible! Terry & Lawrence, thank you so much for sharing your beautiful home with us! The views are amazing and the beach is pristine! We even met one of your neighbors...I believe her name is Leslie (blue house in front). We had a nice time visiting with her. CSB is a paradise like no other, and your home was definitely the cherry on top! Your kitchen is also super well-stocked! Terry, mom and I were able to show our crew all the coll places - Coneheads, Indian Pass , Up The Creek - thanks to your awesome hostessing skills from last time! We definitely got your fill of delicious seafood! We are so thankful you all have shared this "forgotten coast" with our family. There's is a sense of peacefulness we feel when we are here and we definitely feel rejuvenated. We love ya'll and thanks again from ALL of us! Can't wait to come back! We have been coming to CSB for eight years and this is the best house, best location, best view! We've never had an owner call us - very nice, we appreciated it. The house was perfect for our crew. There's not much better than sunset and sitting on the beach at CSB, for people that is. Wagley (lab) would rather be retrieving his toy in the water. thanks for sharing your beautiful beach house. We already booked for next year. Can't wait to get back! Sisters week with Mom and her grand dog is the best! We had a wonderful week at your beautiful house. 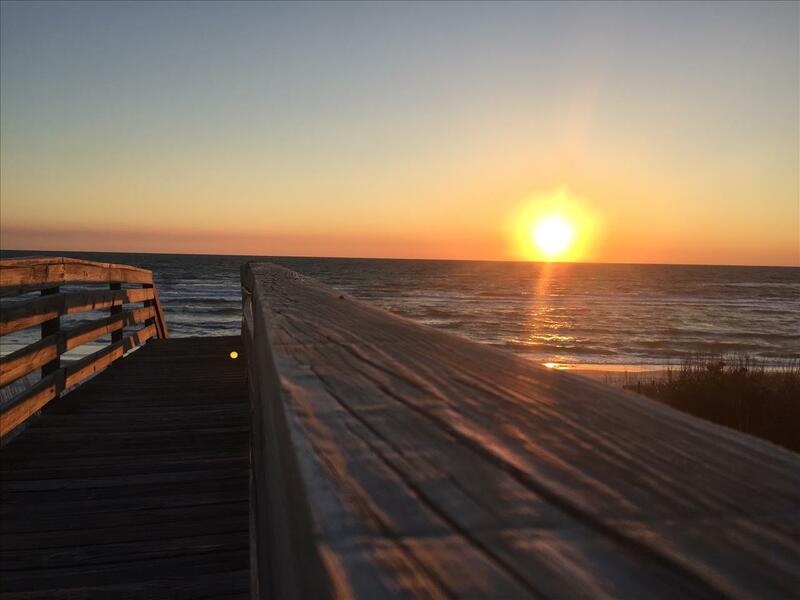 This was our first time coming to Cape San Blas and I'm sure we will be back. Our dog Zoey loved the ocean and the sand. We enjoyed the water everyday with the kids. A few of us even booked a fishing trip and highly recommend Capt. Dewayne at Book me a charter if you looking to go fishing. he was awesome and great with the kids that went. The youngest even caught a shark. Thank you for a wonderful week! We were very lucky to come during non-peak season and have the beach to ourselves! The house was clean and neat. It worked very well for our family. The work the new owner is doing to improve the property is very nice. There were several items in the kitchen and a charcoal grill that were new. The only downside was all the steps up to the house and from the house to the beach. It made it difficult to bring our kayaks down to the beach. However, it overall it's not a bad walk to the beach! We very much enjoyed our week! We have visited the Cape since 1988 and love the peaceful atmosphere. We have stayed in many homes big and small but this is one of our favorites!! The house has the perfect location and spectacular views from all rooms. The house was well equipped with all the things needed for a week long stay with a large family. We hope to visit this location again. We look forward to the rest of the renovations the owner discussed with us when they called us personally to check how our stay was very considerate and attentive to anything we needed. We loved or time here! This is our 7th year coming to the area. We have stayed in houses 20 or 3 times & we hope to stay here again. We loved the house & everything it offered. From the kitchen to the views we could not have asked for more. We enjoyed every day & everything this home had to offer. Thank you for being a great host & calling to check on us & to get some feedback which I could not think of anything of extreme importance. We look forward to next year & I'm crossing my fingers that we can book with you again. We have been staying in this area since 2010 and this has been the nicest house we've stayed in. It has more than everything we needed. We loved that the beach was so quite and everyone around us were "dog people"! We'll definitely be back next year! Thank you again for another great vacation on the Cape! Our family has come to the Cape for years and this is our favorite home. The views from the porch, living area & bedrooms are spectacular. Love the renovations - kitchen and floors. We enjoyed the kitchen which had all we needed. The sound of the surf from the screened porch is so relaxing. Thanks for calling to check on us. We appreciated being able to hear about future improvements. We had a wonderful, relaxing week. The house was wonderful and exactly what we expected. The view from the screened porch was excellent. We felt as though we had the beach all to ourselves. We love love loved our week here at Gulf Breeze. The house is beautiful & fully stocked with everything we needed. The kitchen was amazing & we can't wait to see the bathroom renovations next year! We enjoyed sitting on the screen porch each night & loved the ocean view. The outdoor shower was great with the kids. Cape San Blas was beautiful and our trip was awesome. We plan to come back next year. Thanks you for allowing us the time in your home. We loved our stay and the area. The house was very comfortable and we really appreciated how well stocked the kitchen was for cooking. Our family certainly can't wait to return. We loved our stay here! Your home was supplied with everything we needed. The beach....heavenly! We visited the Ste George Lighthouse. We shelled at St Vincent Island and also enjoyed a fishing trip there. Unfortunately, we did not get to capture the beautiful sunset due to overcast skies. But we enjoyed the beach immensely! Thank you for allowing us to enjoy your home and for checking on us while we here! We absolutely loved our stay! Cannot wait to come back. Already missing it. We would highly recommend to anyone! We loved our first visit to Cape San Blas! The week was full of adventures despite temperatures that dipped near freezing. The twins managed to get a swim in every day! We traveled in to Port St Joe and Apalachicola for day trips. Ate raw oysters at Tripple Tails and bough fresh shrimp in Simmons Bayou. We explored the beach, watched the wild life, and found an interesting sea creature. By far the best part of the day was sunset. Each evening we made sure we were on the sand to watch the sun slip down into the surf. Each sunset was amazing and unique. When the sun was gone it was time for beachfront bonfire and smores. Our blubby family member, Simba (yellow lab) felt right home. He loved his morning swims, followed by rolling in the sand and running along the shore. We had an amazing week of nice weather and really enjoyed the beach. Screened in porch is wonderful! We will definitely be back. We LOVE this place! The view is amazing and what a blessing to wake up everyday, sip coffee, and look out at the ocean. Thank you for calling to check on us and our stay......great professionalism and southern hospitality. What a great spot on the beach! The house is so nicely updated and has everything you need or want. The beds are really comfortable and the appliances are all brand new (even the washer/dryer). The screened porch has a view of the water and is huge, with rocking chairs and no bugs! Plenty of room underneath to hang Enos and relax, too. It's perfect for a family that enjoys being together! Beautifully renovated house! The owners are very pleasant and even called to check on us. we had a great time! this is a beautiful area and the house was amazing. we would love to come back again. Your mobile app is a really helpful and informative feature. the keyless entry was very convenient, and no keys to worry about! We had such a great time at the beach! This place is amazing and has such a great view of the ocean. We loved getting to sit on the screened-in porch and enjoyed getting to wake up to such a beautiful view. Everyday we would go out to the beach and look for shells. We found so many! Thank you for making our stay as comfortable as possible. We would love to come back!